"A year in the planning, Making History- Christ’s College’s stage show to mark the end of its 150th year as a school – paid off its vast investment of time and effort in style when it finally opened to the public before the half term holiday. Specially written by Benet Catty, a professional playwright and director who attended the school in the 1990s, Making History set the surprisingly varied history of the school, originally conceived as a “school for the middle class” by Thomas Reeder White (impressive Taylor Flanagan-Clark), alongside some of the major events in the world. Fergus Oakley and Lucas Rudden bring wit and pace to their scene as the Wright Brothers; Roy Appiah sends tingles down the spine with his recreation of Martin Luther King’s “I have a dream speech” and Theo Antoniou-Phillips makes an imposing Lloyd George. 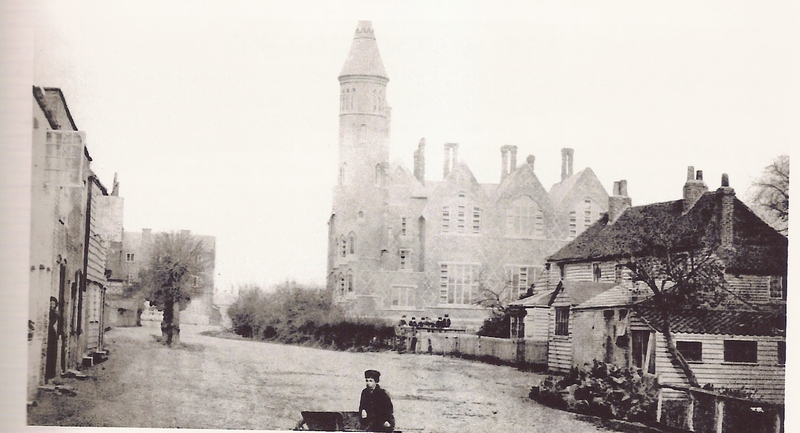 In the sections on the school’s own history, Theo Andresier was a hilariously pompous former headmaster; Charlie Mays a lively rugby player (who would later found the Barbarians) and Teige Gibbons an amusingly anxious school boy whose bottom was about to learn the meaning of school discipline, 1870s-style. Two screens either side of the stage showed images and specially-edited films about the scenes we’re seeing, from classic Hollywood clips to scenes of 1980s civil unrest. The finale, in which the vast company of 40 present-day students assembled on the stage to talk to us about the school they now attend while we watch images of their lives (Big Brother, the death of Diana and all) gave a stirring, even moving, insight into the lives of the current generation. All this, plus a couple of brilliant set piece scenes in the second act (a politically charged debate about the school turning comprehensive in the late 70s and a dance number about corporal punishment in the 60s), ensure that the show felt much more like a professional event than a school play. Smartly written, pacily staged and exceptionally accomplished, Making History surely sets the benchmark for what a school can do if it puts its mind to it and is a huge testament to the imagination of Benet Catty and the talent of his cast. The school should be applauded for daring to try something so ambitious; and cheered for achieving it so triumphantly."